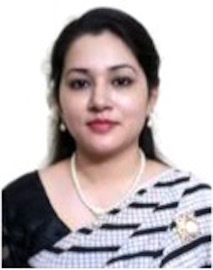 Mithila Chowdhury is a Ph.D. candidate at Mahachulalongkorn University in Thailand. She holds a both a M.A. and B.A. with Honors in English Literature from Premier University Chittagong, Bangladesh. Her knowledge she shares directly with girls as she is a lecturer at Agrasara Girls’ College. Her goal and objective is to propagate Buddhism among the youth of Bangladesh. True to this goal she holds the positions of: Assistant Secretary General of the World Fellowship of Buddhist Youth (WFBY), Secretary General of the Nirvana Peace Foundation of the WFBY’s Regional Center in Bangladesh, and Publisher of Nirvana, A Socio-literary and Cultural Publication (in print and online). She has authored numerous articles in various national newspapers and journals in Bangladesh and has appeared on radio and television. Volunteerism is natural to Mithila Chowdhury. She donates her skills to activities for: human beings & healing humankind; humanistic social & cultural development; protecting the environment and planting trees; Dhamma schools; and necessities for rural people in need. For her efforts have received recognition in terms of awards from: the World Fellowship of Buddhist Youth in 2015, the Bangladesh Buddhist Welfare Trust in 2016, Kadhurkhil Gyanodoy Buddhist Monastery in 2015, and Buddhangkur Vihara and Meditation Center in 2016. Mithila Chowdhury is a really powerful and inspiring woman!